Paul K Petersen was born in Northfield, Minnesota in 1950, the son of a Lutheran Pastor. He lived with his family in many areas of the Midwest, Minnesota, Iowa, North Dakota, Nebraska and Wisconsin. Growing up in a family of outdoorsmen, he early learned how to fish and enjoy nature and exploration of the outdoor environment. When he was 12 a teacher gave him a camera and taught him how to develop film. 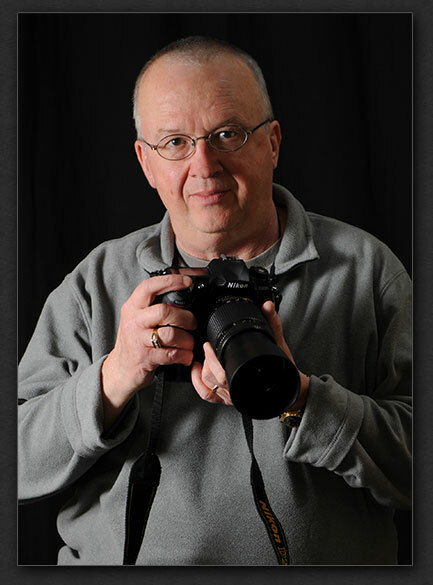 From this instruction and mentoring his love of photography has grown and continues to this day. Paul has a BS Degree in Resource Management and Biology from The University of Wisconsin. Building on a career in Construction and Development, as well as his positions as a Project Manager, Director of Marketing and Business Development, and Developer, he decided to turn more of his attention full time to his hobby of photography as a business. He continues to consult in construction for churches and businesses throughout the state of Michigan. Paul’s photography reflects a combination of talent, technical skill, knowledge of his subject and human nature, as well as insights into how people’s lives are changed by closely living with and observing the world of animals and plants. Since his introduction to photography at age 12, he has produced a large body of art focusing on his skills in the areas of architectural, nature and portrait photography. As a photographer, Paul is self taught and has developed his own unique and sensitive style. His understanding of nature, his love of people, his energy and attention to detail bring an amazing ability to capture images that show the subtle emotions and sights he sees in life and nature. Paul honors God for the talents given him and feels blessed in being able to share them with others.